Vitiligo is a disorder that causes patchy depigmentation of skin. 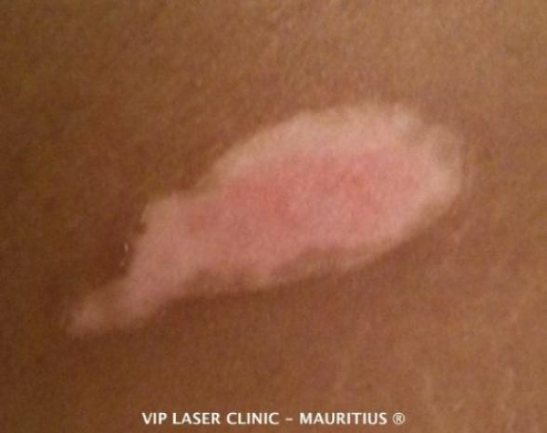 It occurs when melanocytes, the cells responsible for skin depigmentation, die or are unable to function properly. The cause of vitiligo is unknown, but the latest scientific knowledge on vitiligo considers it as a dermatosis due to multiple factors and it can have different aspects as reagrds the triggering cause. Research suggests that vitiligo is not purely a cosmetic disorder but it seems to arise from auto-immune, genetic, oxidative stress, neural, neuro-humoral (thyroid imbalance) and/or viral causes. The incidence worldwide is less than 1%. The most common form is non-segmental vitiligo. 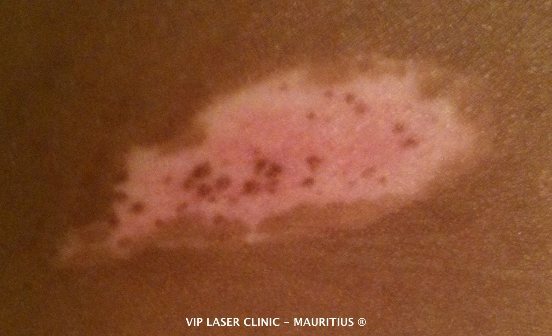 The most notable symptom of vitiligo is depigmentation of skin in the form of patches occuring on the extremities. Although patches are initially small, they often enlarge and change shape. 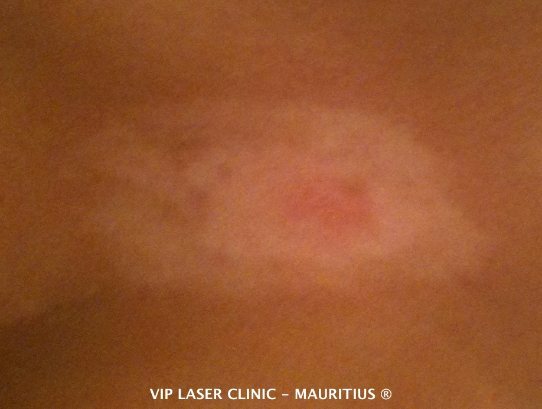 When skin lesions occur, they are most prominent on the face, hands and wrists. 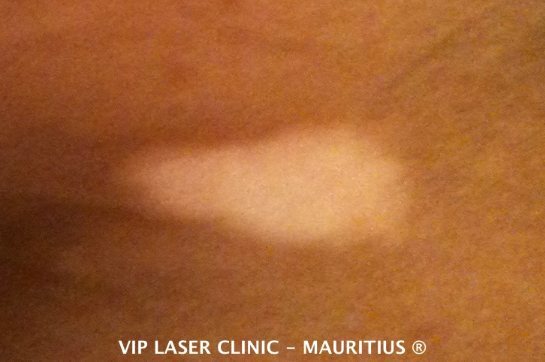 Depigmentation is particularly noticeable around body orifices, such as the mouth, eyes, nostrils, genitalia and navel. 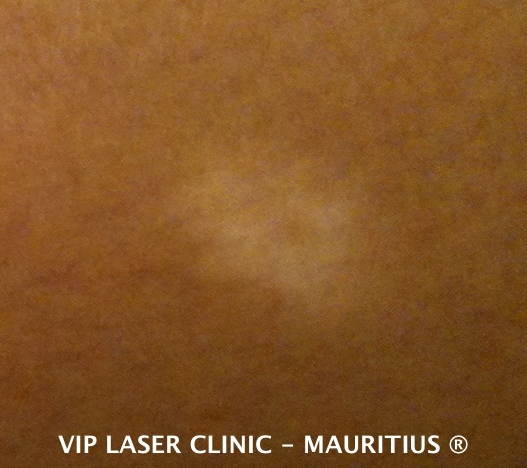 Some lesions have hyperpigmentations around the edges. Patients who are stigmatised for their condition may experience depression and mood disorders. 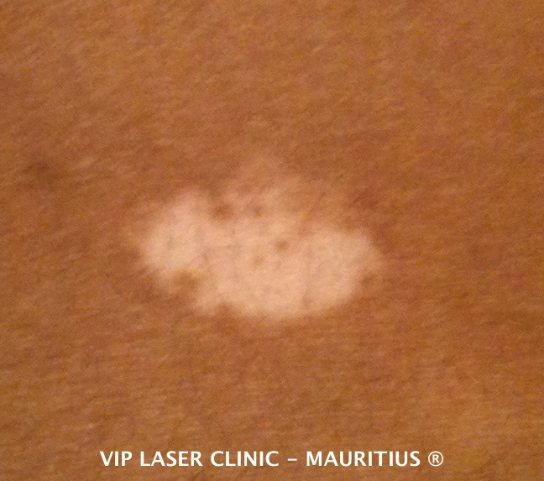 In Non-Segmental Vitiligo (NSV), depigmentation patches are usually located quite symmetrically. New patches may also appear over time and can be generalized over large portions of the body or localized to a particular area. Vitiligo with little or scarce pigmented skin areas is known as vitiligo universalis. NSV can come about at any age, unlike segmental vitiligo, which is far more prevalent in teenage years. Generalized Vitiligo: the most common pattern, wide and randomly distributed areas of skin depigmentation. Universal Vitiligo: depigmentation encompasses most of the body. Focal Vitiligo: one or a few scattered macules in one area, most common in children. Acrofacial Vitiligo: fingers and peri-orificial areas. Mucosal Vitiligo: depigmentation of only the mucous membranes. Segmental vitiligo (SV) differs in appearance, etiology and prevalence from associated illnesses. Its treatment is different from that of NSV. It tends to affect areas of skin that are associated with dorsal roots from the spine. It spreads much more rapidly than NSV and, without treatment, it is much more stable in course and is not associated with auto-immune diseases. 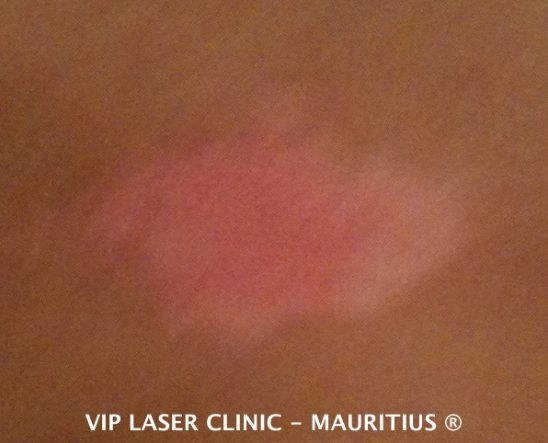 The cold laser (photonic) therapy being used for successfully treating vitiligo at the VIP Laser Clinic in Mauritius comprises a bio-chromatotherapeutic approach including multi-colored phototherapy, red and infrared laser therapy as well as ultraviolet photonic therapy at the morpho-physiological, informational and energetic levels of functioning of the human organism.